MRI is dangerous - Why? MRI is dangerous – Why? MRI gives us a detailed picture of what’s going on inside a human body without any use of radiation unlike X-rays or CT Scan. This helps the doctor in deciding your diagnosis for the disease and also gives the patient an idea of his/her progress in the journey of being sick. MRI is a great technology and has helped cure many patients, at least that’s what we have heard so far. In this day and age, people are more vigilant. They come to the doctor with their back pain MRI scan. When they visit the doctor and insist on showing their MRI so that their time is not wasted and they can get on with treatment as soon as possible. They get annoyed when the doctor insists on examining the patient first and then other procedures for the right diagnostic. This kind of behavior should be avoided at all costs, it is for your own betterment. As the title above mentions that MRI can be dangerous, it’s not dangerous as an investigation but when you are relying solely on MRI than it becomes highly risky. 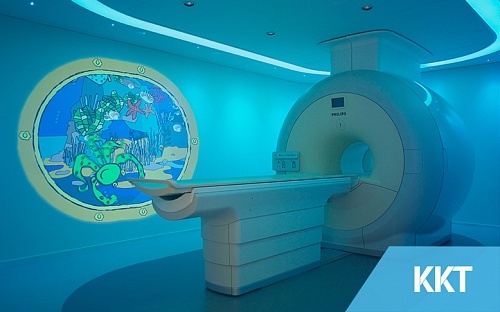 Patients usually get their MRI’s done without the consent of doctor and rely purely on this. By doing this they are putting their lives at risk, let the doctor examine your first, get your X-ray done, blood test all this standard procedures. So that he can understand your problem better and find a better diagnosis for you. There are many studies that support that MRI without physical examination is meaningless and not to mention very risky. So it is better to let the doctor decide what treatment option is better for you. Let the doctor check you up. Don’t let the previous check ups confuse you. Listen to what the doctor has to say about disease. Get your treatment from the doctor without the feeling that he is not doing it right. You will start noticing positive changes. If all else fails and you are super confused, head on over to kktpakistan.com and get yourself checked! Visit KKT orthopedic spine center and let KKT treat your spinal problems. Book your appointment today!